Souda, a young Brooklyn-based design studio, has created a modern lighting pendant of porcelain with a surprising texture: slightly rumpled and slouched. Founded in 2012 by three freshly minted graduates of Parsons The New School for Design, Souda is the product, in part, of the astronomical rents young people confront if they live in New York City. While they were students, designers and co-founders Shaun Kasperbauer and Luft Tanaka squeezed a woodworking shop and ceramics studio into their living room. Friedman-Heiman was experimenting with concrete and other materials in his own small apartment. So the three designers, all in their 20s, went in on a workshop. Tanaka created an early version of the Kawa line for his senior thesis. 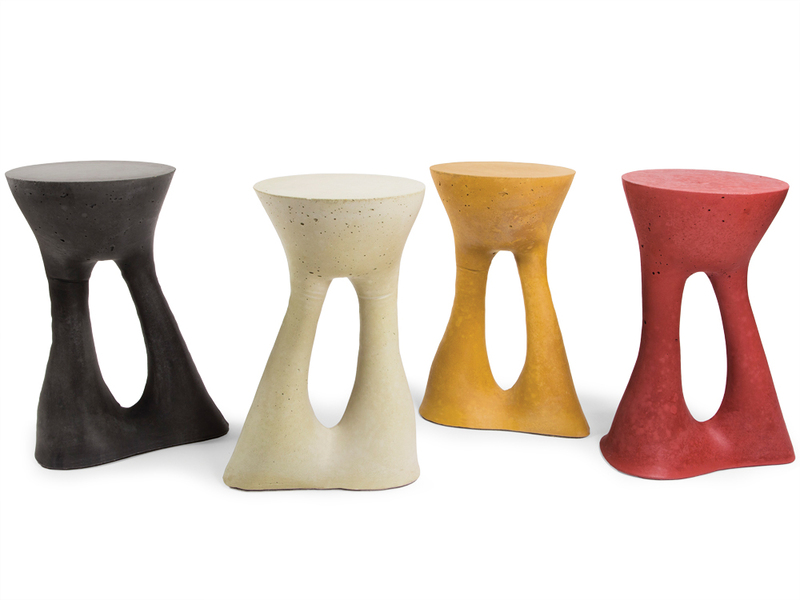 Another major line for Souda, the Kreten collection of colored concrete accent tables and a candelabra, is derived from Friedman-Heiman’s thesis. Meanwhile, Kasperbauer brings professional design experience, including internships at Poltrona Frau, a high-end Italian leather furniture company, and Roll & Hill, a lighting manufacturer in New York City. This means pieces such as Souda’s popular Strut shelving system come to life the way most products do – they’re outsourced to manufacturers, all of them American so far. 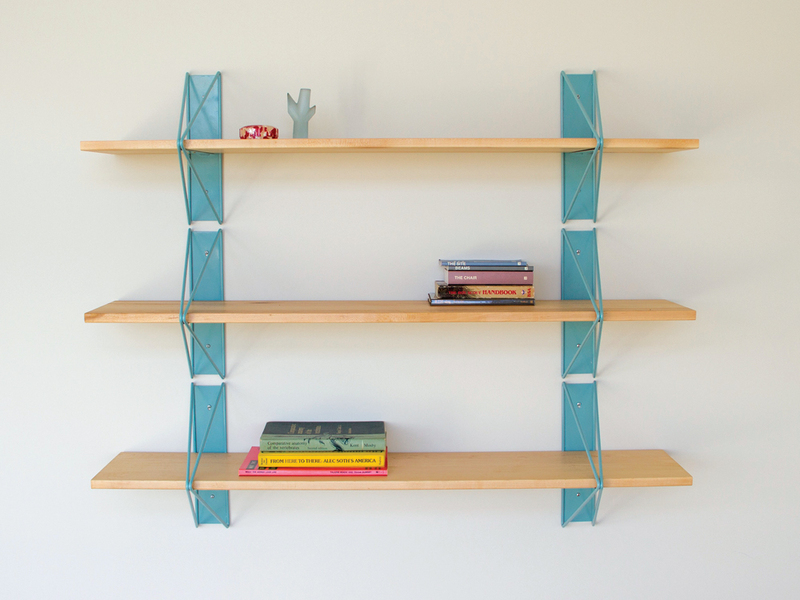 The Manhattan Bridge-inspired steel brackets (for mounting the shelves to the wall) come from a manufacturer in Indiana, the wooden planks from upstate New York. 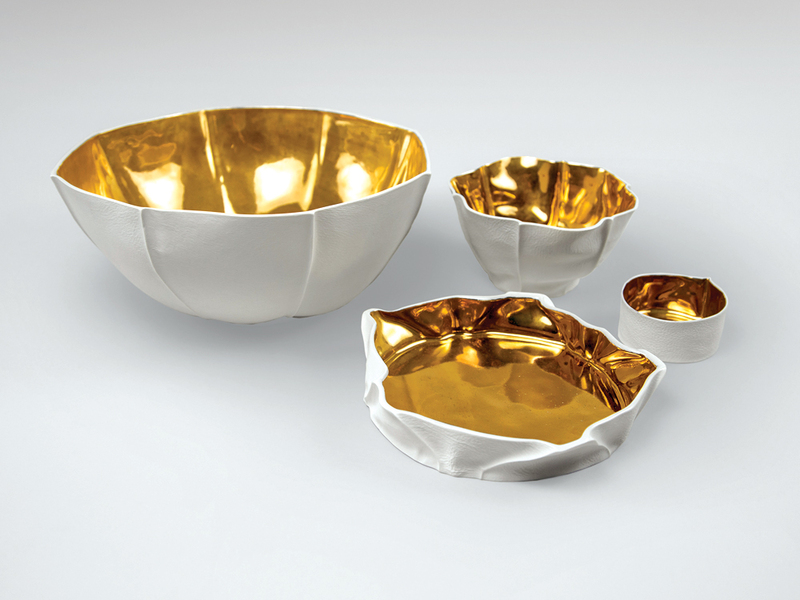 Product lines like Kawa and Kreten rely on a less common formula. 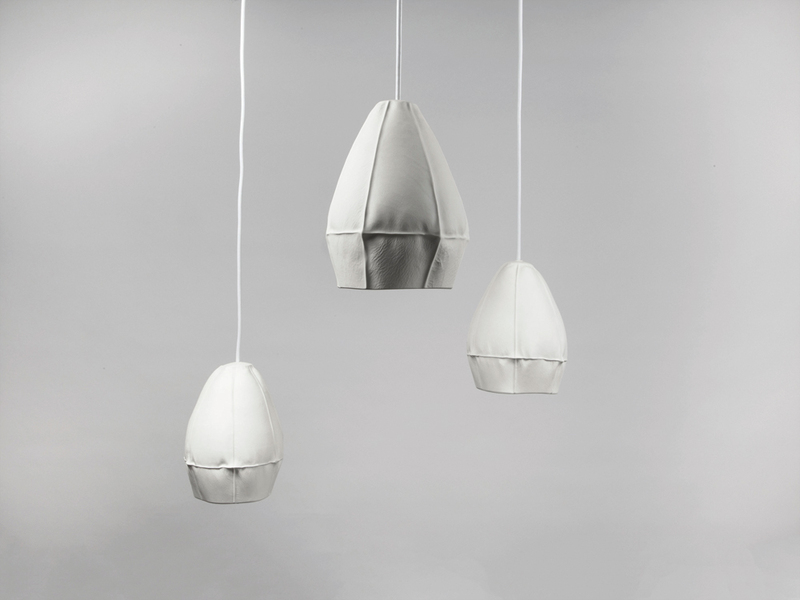 Like the Kawa lighting pendant, each piece in the Kreten collection is fabricated in-house using a soft mold, allowing for infinite variations. 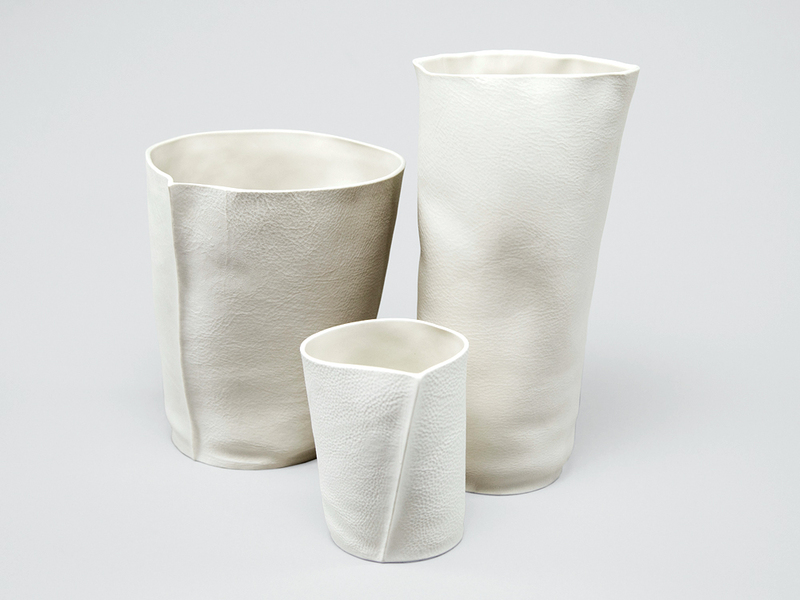 The concrete takes shape inside fabric molds, “kind of like spandex,” explains Friedman-Heiman. “They’re fit into an armature and, once concrete is poured inside, they sort of swell with the weight and the elasticity of the materials.” The resulting pieces have fat, sturdy bases and playfully outstretched limbs, like the characters in a Keith Haring painting.